Zone 5-7 Mature Height: 20-25 ft. Mature Width: 15-20 ft. Growth/Year: 2-3 ft. Sunlight: Full Sun Soil Conditions: Adaptable to various Soils. 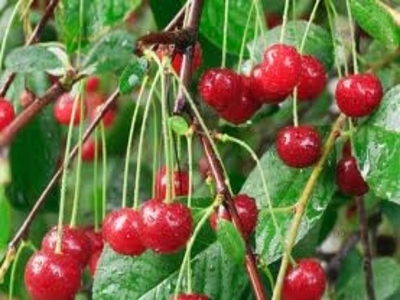 This is a great cherry tree to have. You will be able to enjoy delicious sweet cherries from this tree. Fruit trees can provide you with delicious fruit. This tree will also provide you with beautiful blooms and will attract certain birds. You will enjoy these cherries in pies and jams.